Used MG ZR Review - 2001-2005 | What Car? What's the used MG ZR hatchback like? 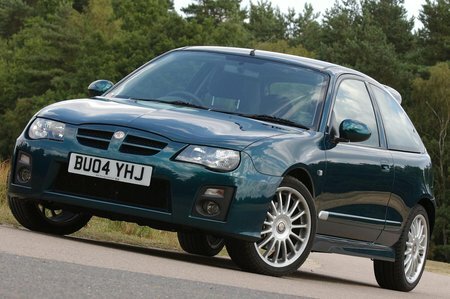 The MG ZR is a Rover 25 retuned and restyled to turn Rover's old boy into a bad boy. But, even though the 25 was an ageing design long before the surgery, the chassis engineers did a great job of turning it into an something much more entertaining to drive. They made the handling sharper without massacring the ride, and the ZR160 version is a swift, entertaining hot hatch. However, the ZR isn't as refined as the 25 - it has a firmer ride, the suspension is noisier and the engines get loud when stretched. You'll either love or hate the car's looks. Either way, you probably won't like the awkward driving position and old-style cabin. Still, there's decent space in the front and rear, as well as a useful boot. Getting to and from the rear seats in the three-door isn't easy, though.